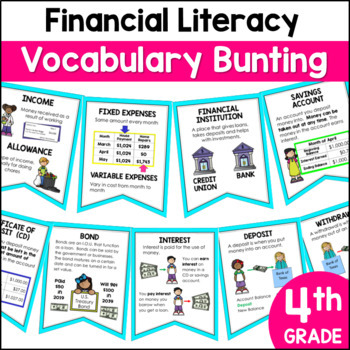 This TEKS based 4th grade Vocabulary Bunting is perfect for your word wall! Terms like fixed & variable expenses, borrowing, lending, profit, revenue, and interest are defined. 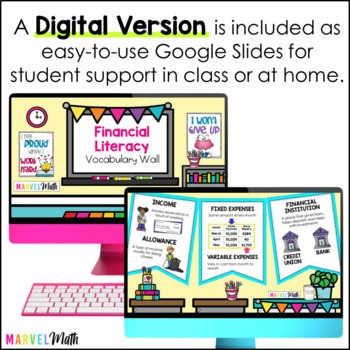 The engaging graphics will help motivate your students to use precise math vocabulary in your classroom! 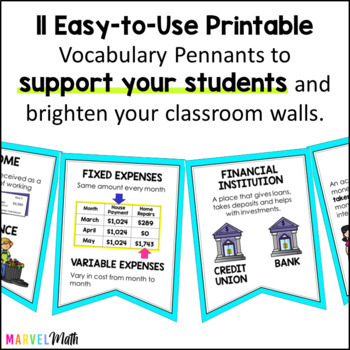 This bunting allows for more space than cards on a word wall to better define and illustrate the vocabulary terms students will see on STAAR. ❤️I love bunting…who doesn’t? It makes my classroom so cute and saves me tons of time. I was one of those teachers who spent waaaay to long trying to get all of my vocabulary cards perfectly straight for my word wall. 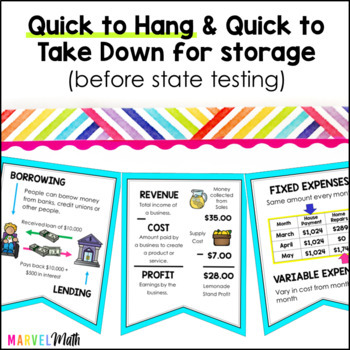 This bunting is easy to take down at the end of the year, too!